1. Overnight 4 Nights at local couple hotel designed for you. 2. Enjoy the Show of "Tianmen Fox Fairy" with love story about the wooden-cut man and a fox fairy. 3. 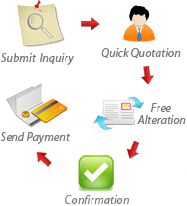 Arrnage the Tujia Enhic Marriage wedding for you. 4. Wedding photography for your wedding days in Zhangjiajie. Upon arrival at Zhangjiajie Airport or Railway Station, meet your local tour guide and transfer your hotel in Zhangjiajie City. You will be free leisure at the rest time today. After breakfast, move to take cable car up to Tianmen Mountain, located at south pf downtown Zhangjiajie. With 1,518 meters above sea level, Tianmen Mountain is the soul of Zhangjiajie, Here, you will follow your tour guide to hike along the plank road and glass skywalk hanging on the deep cliff. Ant you will take lift inside the mountain to Tianmen Cave. Walk down stone-stairs with 999 steps before you are transferred by shuttle bus back to downtown city. 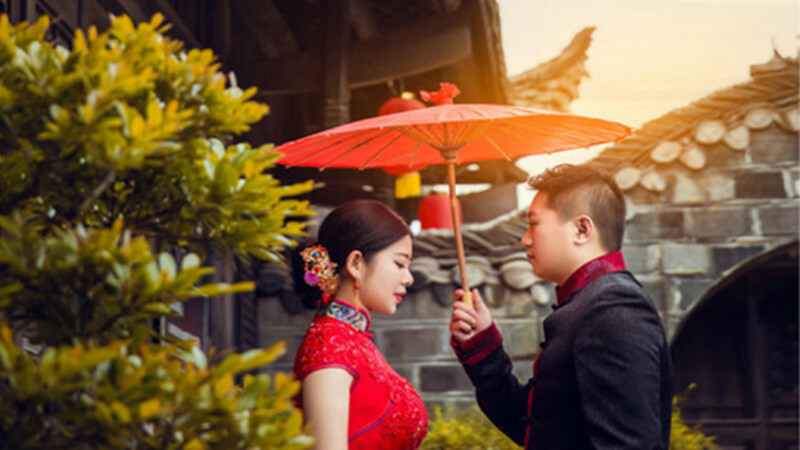 And then you will visit Tujia Customs Park, especially we arrange the Tujia Ethnic traditional marraige wedding for you ,including your wedding photography in the park. After dinner, we arrange the top show with love story about the wooden-cut man and his lover, a fox fairy. After breakfast at hotel, transfer to Zhangjiajie National Forest Park,founded in 1982. This morning we will trek up to see the Couple Roack at first, then take cable cars to visit the Yellow Stone Village, a classic scenic spot with over 1,200 meters above the sea level in the Park.Trekking around there, you can explore the fantastic landmark with 1.5 hours walking. In the afternoon, you will trek along the Golden Whip Stream, about 7 km with 3 hours hiking. The sightseeing of the Meeting From Afar is a complex peaks that look like a couple meeting in the beautiful velly. Here you can pray for a permanently unbreakable relationship. After breakfast, your honeymoon tour will start to take trams visiting the Ten-mile Gallery. Here you can see the Three-Sister Peaks, The Couple Holding their Child, The Old Couple with Falling-in Love,etc. Then take Bailong Elevator up to Yuanjiajie and explore Avatar Mountain,No.1 Bridge in the World,The Couple Valley, Backyard Garden. 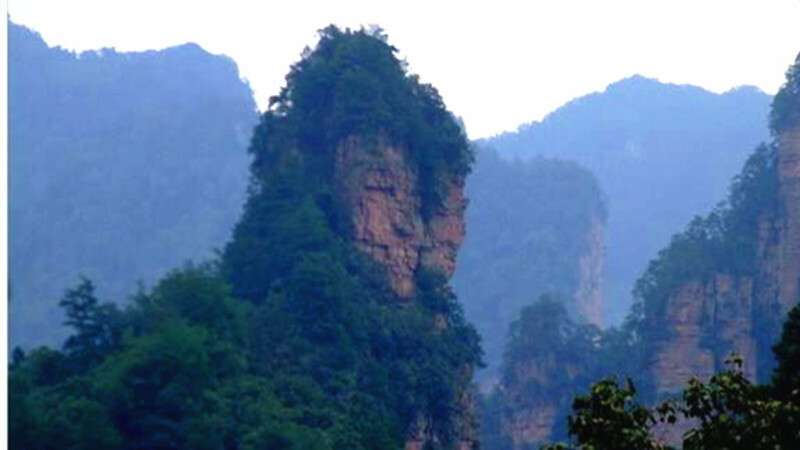 In the afternoon, take shuttle bus to Tianzi Mountain and visit the West Sea with a large number of stone peaks. See the Fairy Peak that is sending flowers to her lover. Next, you had better hike down and see the Waiting-for-husband peak while you get to the Soutn Heaven Gate. After breakfast, transfer to visit Baofeng Lake, a fairy-land which is surrounded by beautiful mountains. And it is also a picturesque lake with love story.With cruise boat on the lake, please follow your tour guide and listen or learn local Tujia Love's Song and you can also see some Mandarin Ducks playing in the lake. After visiting Baofeng Lake, we will move to Zto Zhangjiajie Airport for departure.